One of my favorite things in the house we are building is the fireplace in the great room, which will sit into a rock wall. The fireplace will have a wrap around hearth using large rocks. This will flow into a lower rock platform to the right of the fireplace for the wood stove. The whole wall, 16 feet high, will be embedded with smaller rocks. Best of all? 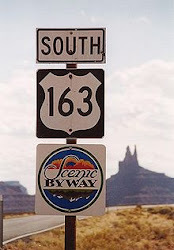 All of the rock will come from our land - hand picked. That is what makes it feel so special. And a lot of work. My husband estimates we will need approximately 1,500 rocks to do the fire place wall. That, my friends, is a lot of rocks. Oh, and we are doing one part of the outside house walls in rock and that may take about 3,000 rocks. I can't think about that one yet. Let's just get the inside fire place wall done first. We have a lot of rocks on our 40 acres of land, but most of them are giant boulders. However there are spots of smaller rocks suitable for putting into a wall and hearth. Over the past two days I've managed to gather close to 80 of the smaller kinds of rocks we need. I have the day off tomorrow and my goal is to try to surpass 10% of the 1,500 we need...so if I can get it up to 150 rocks, I will be satisfied. I can't handle the large ones we will need for the hearth. I can barely handle the smaller ones. It is not easy taking the the wheel barrow out on a zig zag path across our land, avoiding all the plants. It is even harder bringing it back weighted down with many pounds of rocks. Sometimes the wheel gets stuck in sunken sand. I have to stop and rest a lot. I am realizing just how out of shape my back muscles have become. But it is fun. I've made up my own rules. Not too many rocks from any one area. If the earth won't give up the rock easily on the first try, then it stays - not because I can't work harder to get it out, but just because I feel the earth wants it to stay. Some rocks have lichen (apparently a good thing and a sign of good air quality) and I don't want to take those away. I feel they should stay outside and continue to sustain that life. I've pulled up a few rocks and discovered ant homes underneath - those stay too. There are plenty of rocks to go around. There is no need to be greedy. 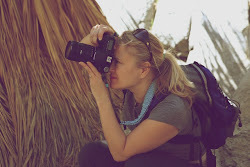 Oh, and last, but not least, I thank the desert for giving me the beautiful rocks I take. I am grateful we have this beautiful land and grateful for every inch of it and all of its beauty. Below is a photo of some of the rocks I found, all laid out on a table so we can get a better look at the size, color and shape. Paul took the photo from the roof deck of the house. I located more and created a few piles of them further away from the house that I need to pick up tomorrow via wheel barrow. The other very cool aspect of this fireplace that I love so much is that we are using old wood we found at a salvage yard in LA (thank you E & K!). It came from a turn of the century (1900s) old mansion that was torn down. 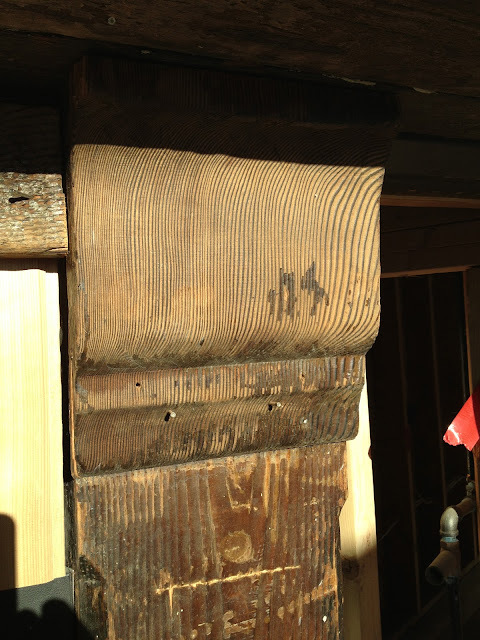 We already knew we wanted to use parts of it to create the fire place mantle, but our very talented uncle, who has overseen the construction of this house with my husband, came up with a design to use some of the other wood for the whole rock wall. I've shot a few photos below. It may be difficult to fully envision at this stage, but it is going to be incredible. Starting the collection of rocks from our land that we will use to build a stone fireplace wall in the house. A small sample of the diversity of rocks on the land. These smaller ones will make up the wall. Larger ones will make up the hearth. You can start to see what it will look like. The wood needs to be stripped and finished. There will be more wood in here and then the entire wall will be rock. 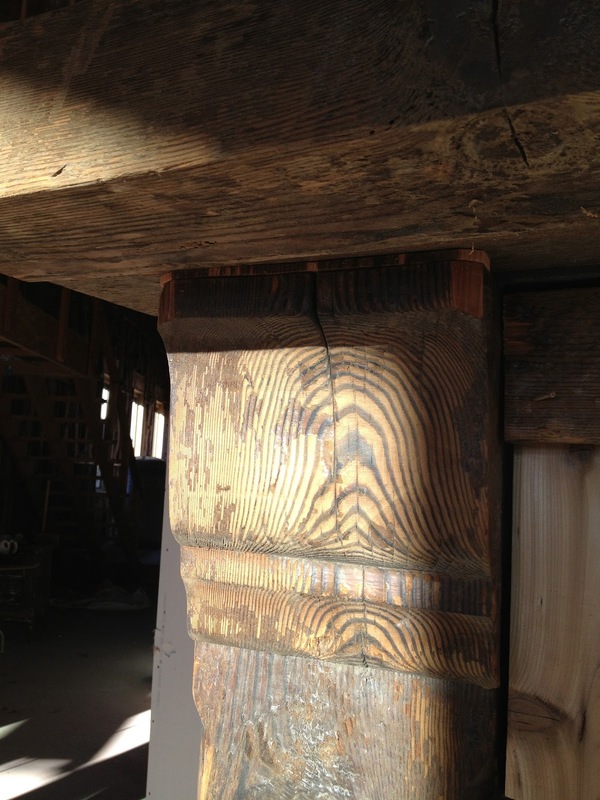 When we found the old wood, we knew we wanted to make those columns into our mantle. 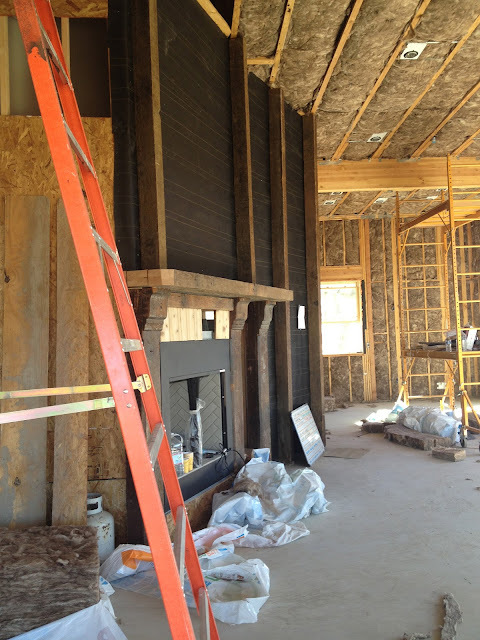 The stone wall will wrap around to the left of the fireplace as will the hearth. 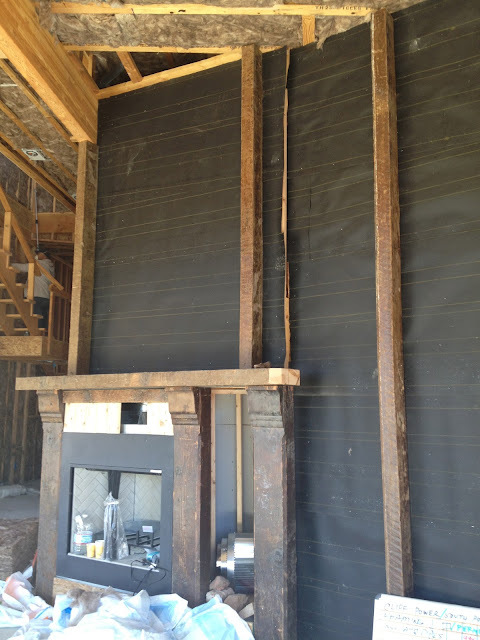 The narrow area to the right of the fireplace will be used to store firewood. There will be a stone hearth wrapped all around the bottom. The wood stove will sit to the right of the fireplace on more stone. The entire wall will be covered in rocks. Ignore that light colored wood above the fireplace - that won't be there - it will all be the darker old wood. Starting to strip the old varnish off the gorgeous old wood. This wood is well over 100 years old as the house was build turn of the century. Its hard to find this kind of old growth type wood any more. We are very happy to recycle it in our home. Love! I can't wait to see everything when it is finished!